Damian Helbling, assistant professor of civil and environmental engineering (CEE). 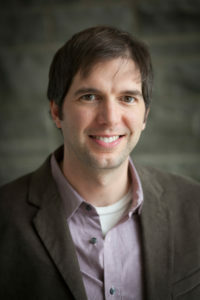 Damian E. Helbling is an Assistant Professor in the School of Civil and Environmental Engineering at Cornell University. His research focuses on the relationship between human social and technological development and the quality of freshwater resources, with a particular interest in the occurrence and fate of anthropogenic organic chemicals in natural and engineered water systems. He received a B.S. in civil engineering from Penn State University along with M.S. and Ph.D. degrees in civil and environmental engineering from Carnegie Mellon University. He spent five years as a postdoctoral research associate at the Swiss Federal Institute of Aquatic Science and Technology (Eawag) prior to his arrival at Cornell in 2014. How has your research evolved from your first to your most recent article? The consistent theme throughout my research career has been my interest in water. I was motivated to pursue an academic career by my fascination with water and a desire to gain a deeper understanding of the physical, chemical, and biological processes that drive changes in water quality that may ultimately influence the health of aquatic ecosystems or exposed human populations. My first publications as a graduate student focused on describing new approaches to monitor water quality in drinking water distribution systems in real-time to provide early warning of microbial contamination events. My work has evolved since then to focus more on the occurrence and transformation of anthropogenic organic chemicals throughout the entire urban water cycle. I am generally excited about the opportunities I have to contribute to the academic culture at Cornell University as both a teacher and a researcher. With respect to research, I am excited about the progress we have made in developing techniques using high-resolution mass spectrometry to more comprehensively assess chemical occurrence in water samples (i.e. environmental forensics) and to elucidate structures of unknown chemicals resulting from chemical or biological transformations (i.e. environmental metabolomics). We use these techniques to improve our fundamental understanding of chemical fate, but also to inform the development of new treatment technologies that may contribute to the removal of trace organic chemicals from water and wastewater. How can the accuracy of characterising the occurrence of micropollutants in environmental samples be improved? The goal of the research described in our manuscript was to develop a suspect screening method that was as accurate as possible in characterizing the occurrence of micropollutants in environmental samples. We achieved that goal, but by aiming for high accuracy, we sacrificed precision. The vision for suspect screening should be towards the development of methods that maximize both accuracy and precision. Fortunately, there is a growing group of scientists working hard towards developing better tools to manipulate large full-scan mass spectral data acquisitions, to predict retention times and MS2 fragmentation patterns of suspect chemicals, and to collect and store mass spectra of large numbers of chemicals as a resource for the research community. Advances in these areas are expected to improve both the accuracy and precision of data-processing pipelines aimed at characterizing the occurrence of micropollutants in a variety of environmental samples. A big challenge is understanding the link between a complex characterization of chemical constituents in a water sample and the concomitant risk of those chemical constituents to aquatic ecosystem or human health. We are developing relationships with aquatic ecologists and environmental toxicologists to help us place the results of our work into a health-based context. It is imperative to link exposure and risk to help inform the conversation on regulatory decision making and future urban water policy. I am fond of the Gordon Research Conference on Environmental Sciences: Water and the Association of Environmental Engineering and Science Professors (AEESP) Research and Education Conference. These conferences are held every other year in alternating summers, so I plan to attend these conferences regularly. I am also an active participant at American Chemical Society (ACS) conferences and try to attend at least one of the national meetings each year. I have a lot of hobbies and wish I had more spare time to dedicate to those activities! I enjoy the outdoors and spend a lot of time cycling or hiking in the natural areas around Cornell and the Finger Lakes region of New York State. I am also a bit of an audiophile and have a modest collection of vinyl and digital recordings and a handful of acoustic instruments that have lamentably become somewhat neglected in recent years! I am passionate about both teaching and research, so I could see myself focusing on a career in education irrespective of my interests in scientific research. If I were to switch gears all together, I can imagine myself as a small-business entrepreneur. I have been known to daydream about concepts for new types of shops or cafes and could see myself enjoying the challenge of building a small-business in an exotic location! Seize the opportunities that come your way.